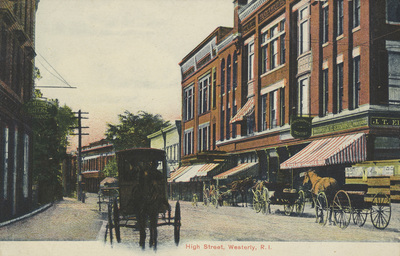 "High Street, Westerly, R.I." by Rhode Island News Company, Providence, R.I.
Rhode Island News Company, Providence, R.I.
Rhode Island News Company, Providence, R.I., "High Street, Westerly, R.I." (1915). Rhode Island Postcards. 453.